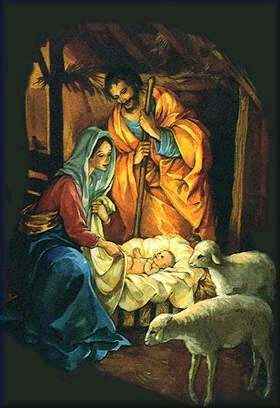 For centuries, even though we have no record of the actual date of his birth, Christians have observed December 25 in honor of the birth of Jesus Christ. Because many religions of the world ... and many people of no religion at all ... have celebrations near this same date, some Christians question whether it is acceptable to observe Christmas. We of At Issue believe that it is. We have no objections to the secular and mythic elements in personal celebrations. But we believe that Jesus Christ IS "the reason for the season", and that as Christians, we should keep uppermost in our minds the religious significance of Christ's birth, which we celebrate with a special intensity during this season of the year. We also note that many do not understand this significance. If Christians do not tell them, who will? Materials on our site, therefore, are written with this dual purpose in mind ... to remind ourselves as Christians how important the incarnation of Christ is, and to enlighten those who do not yet understand. We believe in Christmas. We believe that Christians should actively celebrate it, in private family gatherings, in the church family, and in reaching out beyond these 'families' to those in need ... whether that need be for physical help, emotional support, or spiritual nourishment and invitation to join in worship of Jesus Christ, God's supreme gift to the world. Oh come let us adore Him . . .
Two of the Adventist Church Christmas TV Specials are still available for viewing on-line.